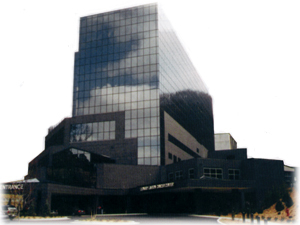 Pikeville Medical Center, Pikeville KY is a state of the art medical facility, which in 2000 performed its first open heart surgery. The hospital is a recently renovated, 11-story patient tower designed to accommodate a total of 500 beds. Neurosurgery will soon be added along with a 21-bed inpatient physical rehabilitation unit, which will transform the acute care facility to a tertiary care facility able to handle trauma situations - eliminating the need to transfer patient. There are also a total of 16 operating rooms in the hospital, which includes two rooms dedicated to open-heart surgery. In addition the hospital has spent $1.4 million on new equipment, education and training for the Heart Institute alone. The new services are in addition to the region's only pediatric transitional care unit, a Level II neonatal intensive care unit and the accredited Leonard Lawson Cancer Center, which is the regional leader in cancer treatment. For information regarding the Pikveille Medical Center call 606-218-3500. The Brookshire Inn is located only minutes from PMC. Call us today for room rates specials at 1-888-433-1107.